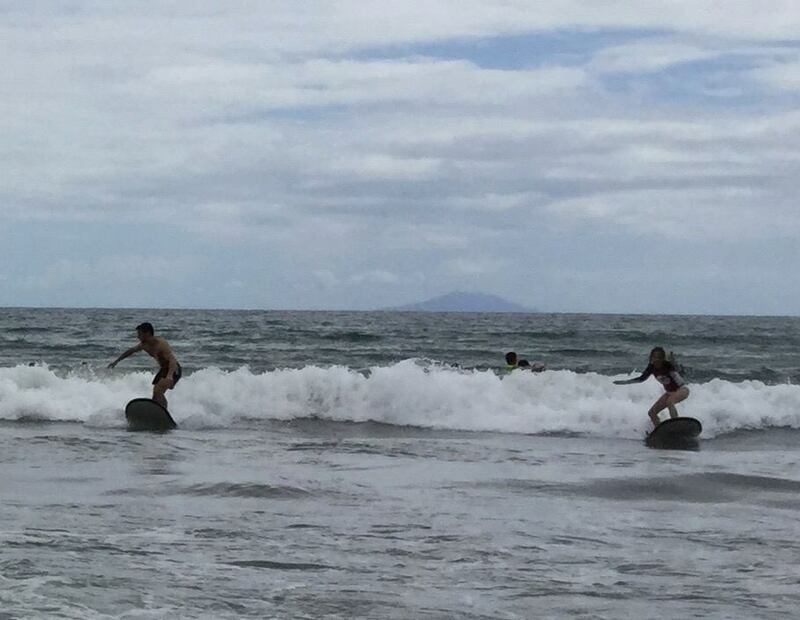 Surfin’ Baler, Aurora – Where's Walton? 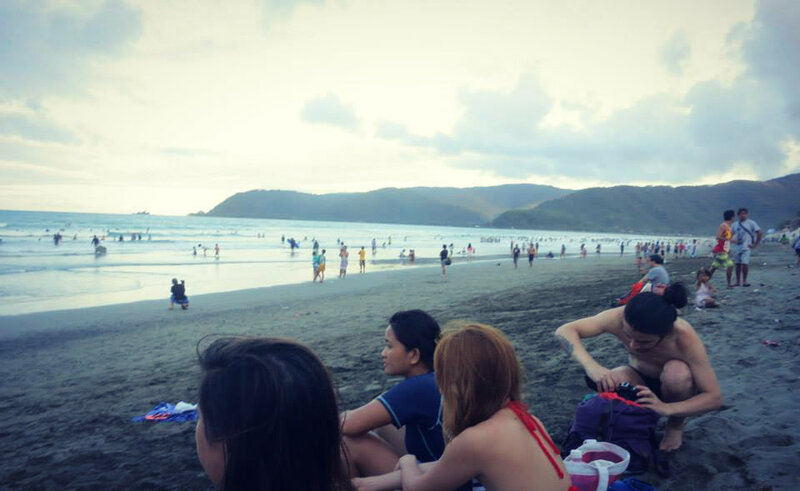 Baler is the provincial capital of Aurora, an area 5-6 hours drive outside of Manila. 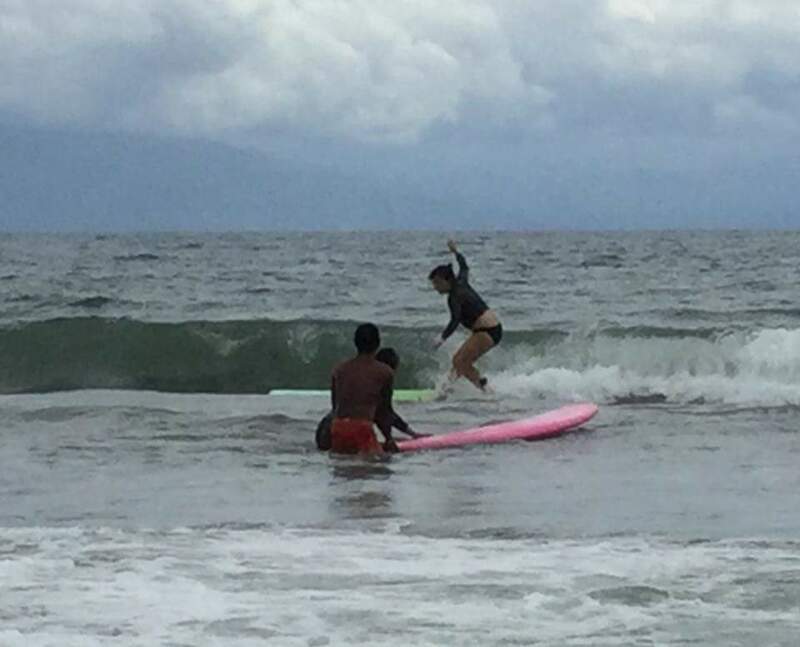 It is famously know for the having some of the ‘top surf spots’ in the Philippines. 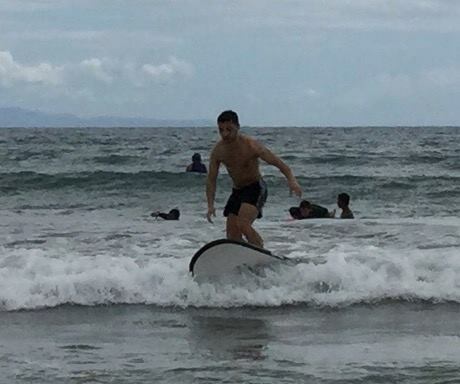 After getting a disappointed telling off from my friend Harrison in New Zealand for not taking advantage of any surf lessons across Indonesia or Australia, I was determined to set things right. But after a few too many trips to the hospital, pharmacy and dentist lately, I wasn’t looking forward to what was to come. But I was determined to give it a good go! 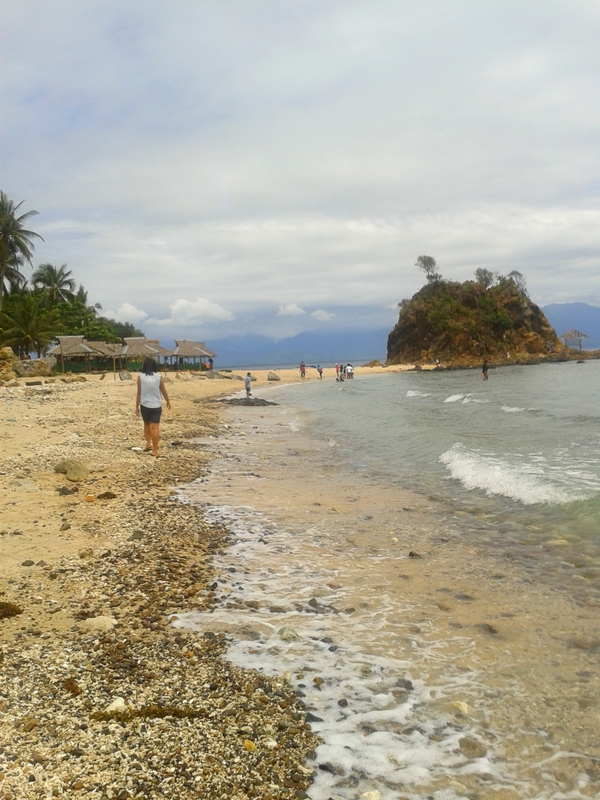 We left Manila around Midnight for an overnight private minibus to Baler. 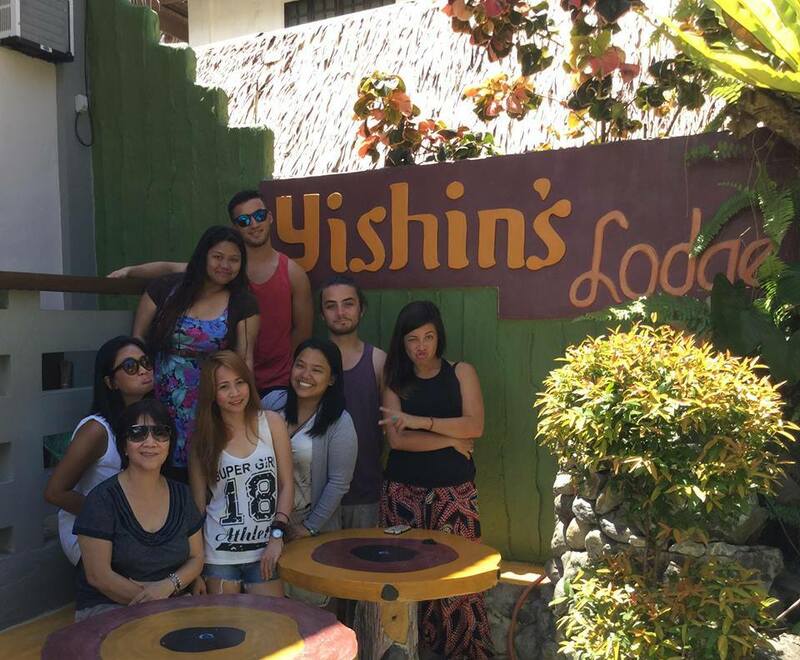 Another family trip with my cousins Michelle, Charmaine, Bembie (as featured in the Palawan blog), Hesty, my brothers and my little mum. So a big 8 of us in total. It was a proper little family outing. That night my mum decided to knock me out with the world’s strongest sleeping tablets/travel sickness I have EVER encountered, so at 7am when we arrived at the first stop, I was a zombie, so a lot of what we did that morning is a blur. Our first tourist spot in Aurora was a tree. Yes, a tree. At 7am in the morning and no coffee yet. But this was not just any tree. 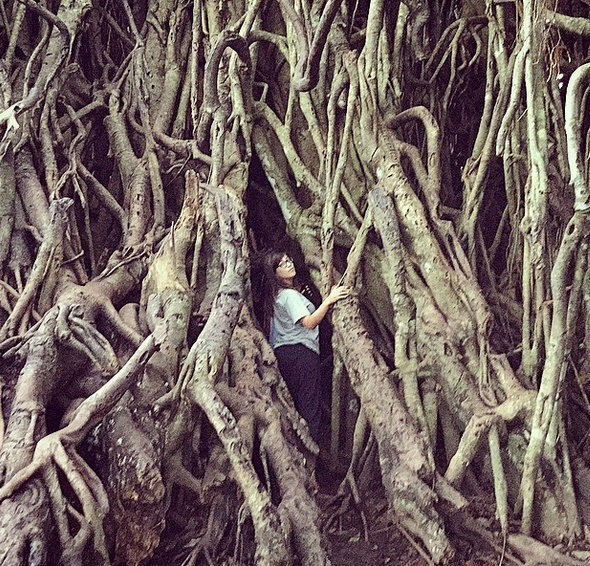 It is the largest Balete tree in Asia and also known as the ‘Millennium Tree’ and a ‘strangler fig’ tree where branches start to grow upon and around a tree, later entrapping it entirely and finally killing the host tree! 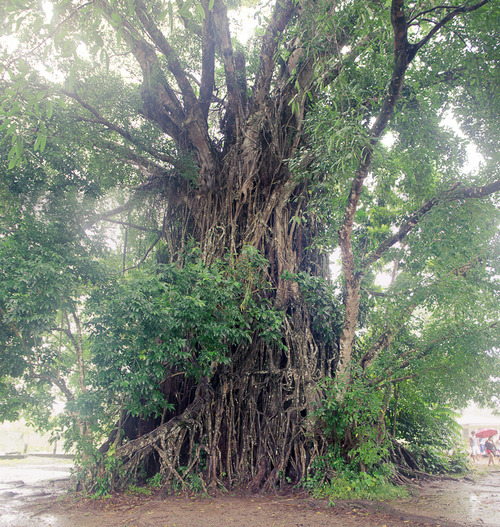 Some people also believe that balete trees are dwelling places for supernatural beings and tree demons. So a killer, haunted tree. Interesting! At 600 years old, this tree in Aurora attracts tourists because of its massive size. Supposedly, it takes 60 adults holding hands with arms outstretched to encircle the giant tree. This tree was actually quite impressive and enchanting. It was very beautiful, like the trees in Anghor Wat that swallow up some of the temples. This had that same haunting feel with it’s assortment of twisted branches and roots. You can walk through the tree but now it is forbidden to climb it – and rightly so, preserve this beauty as long as you can!! Then we were taken to a place called PAGASA the ‘Philippines Atmospheric Geographical Astronomical Services Administration‘ – what a name!! Where we were given a talk about how a team of people look for signs of bad weather conditions across the whole of the Philippines. 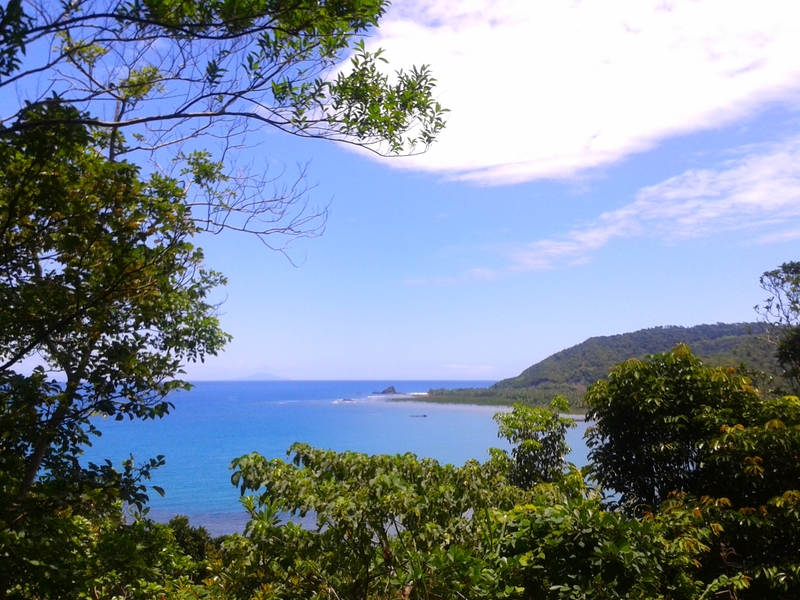 The view from the top of PAGASA was amazing! 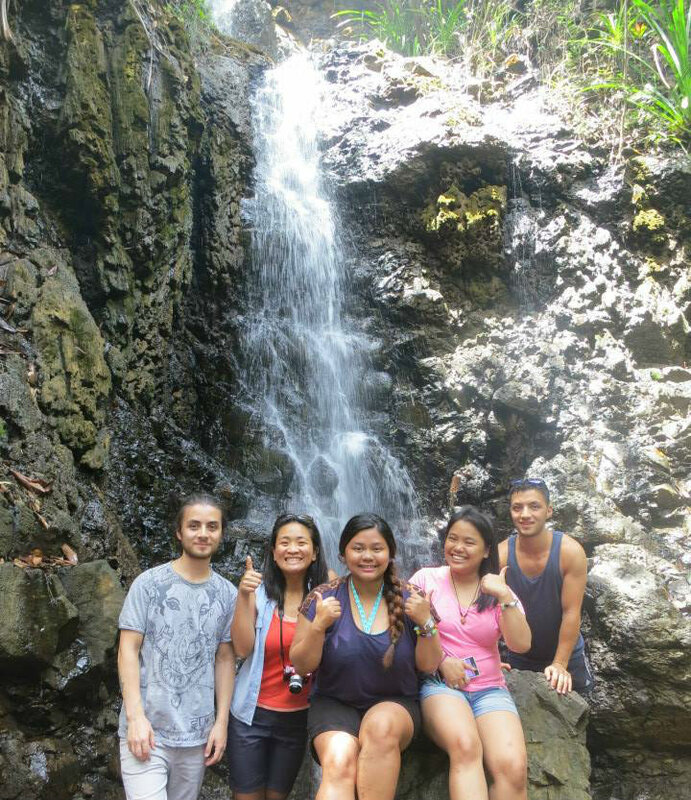 This was followed by Disgusit Beach, Ditumabo Falls, and then look around a view point over the Baler coast. The next drop off was one of the standard ‘have a look around this shop and buy something stops‘. I usually frown upon these and just look around and taste a few free samples… but I ended up leaving with three tubs of homemade filipino condensed milk sweets, these are a must try around the whole of the Philippines! 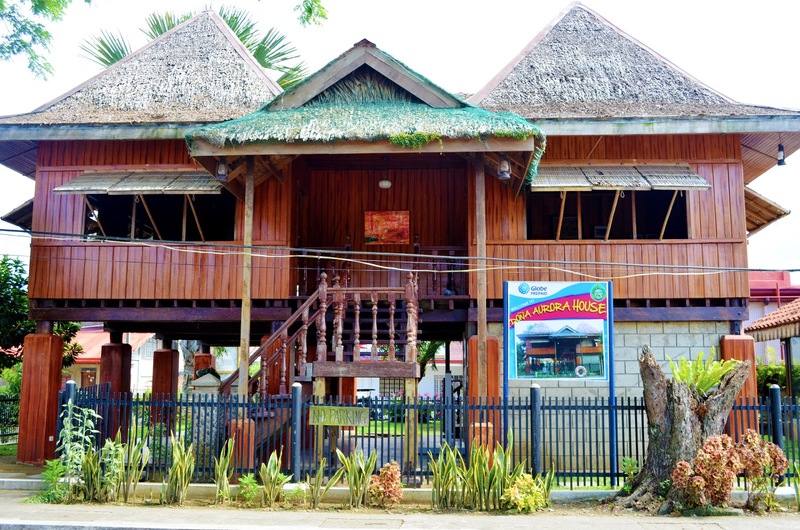 The shop was founded by Nanay Pacing, a local lady who created a peanut butter spread recipe that became famous. 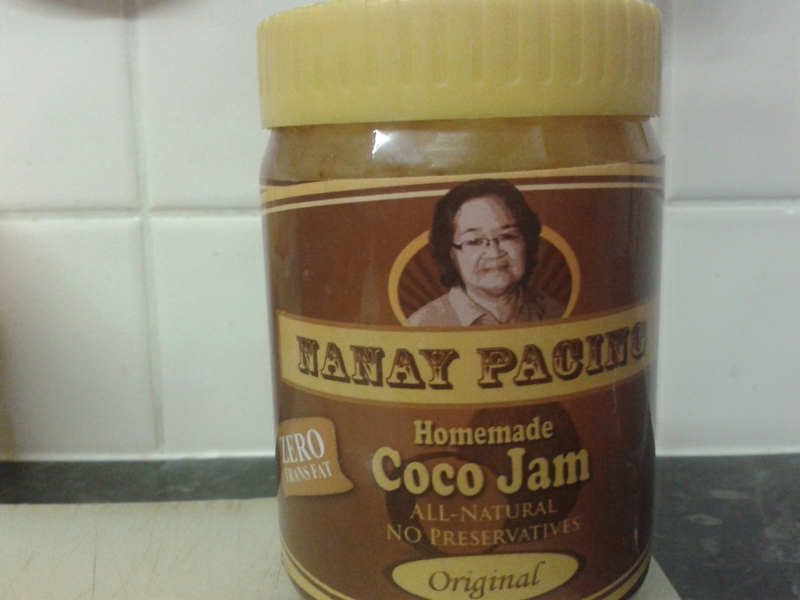 Now her shop, run by her family sells traditional Filipino homemade treats as well as different spreads like Coco Jam (a nutty chocolate spread). My cousin Bembie’s rule is that if we ever meet the owner of a shop, we need a photo with them. Nanay Pacing in our UK kitchen! 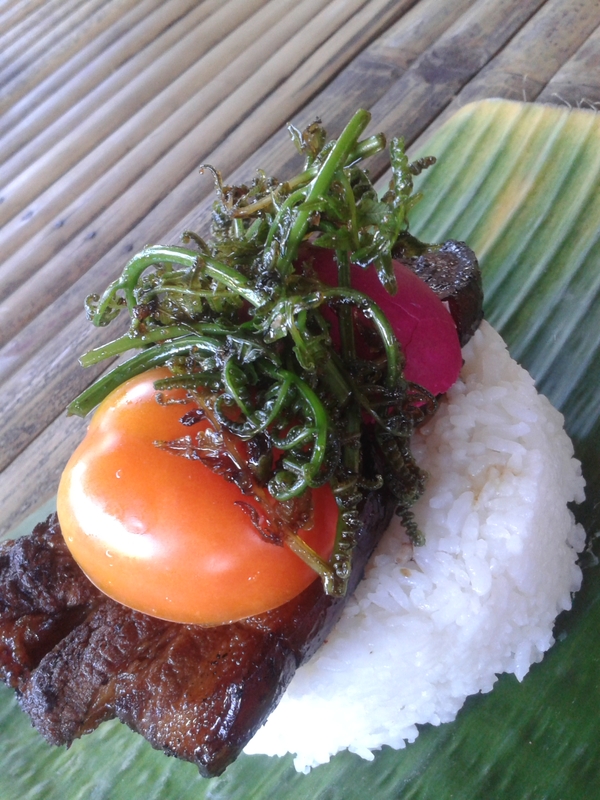 We then had a delicious lunch at Kusina Luntian, an amazing soul food restaurant where food is served on banana leaves. This place is known to get busy, and even with our tour guide pre-ordering it took a while to come but this place is well worth a visit and food was just 70 pesos (a pound). My Lunch, Pork and Rich! Delicious! 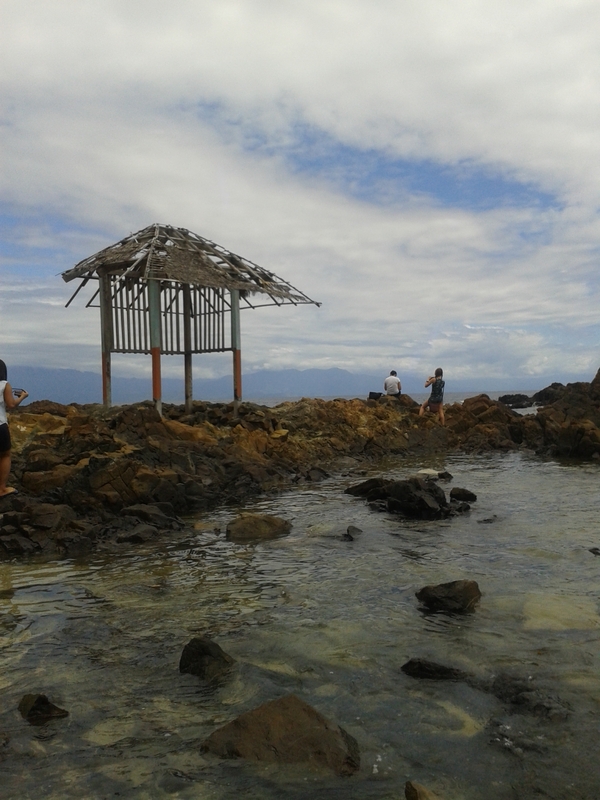 After lunch we checked into our hotel Yeshin Lodge and started to prepare for the afternoon’s surf lesson. I was once again my usual know-it-all self as my cousin advised: “Anne, do you have a rashguard or surf top you can wear over your bikini?”. To which my response was, “I am pretty sure if all the surf chicks in Australia can do it in just a bikini so can I?” – Silly me. 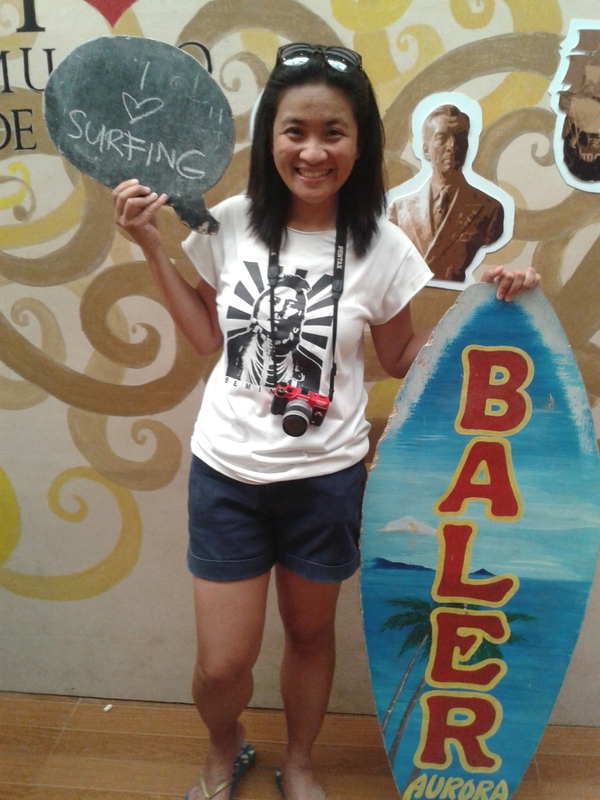 When I arrived at the surf lesson, they gave me a top to borrow and it was the BEST decision I made that day. My the end of the lesson, my bikini top was undone and around my neck, hanging on for dear life! The waves are pretty harsh and you are thrown about quite a lot as the waves come up 6/7 feet high, so it would have been very embarrassing if I was not covered up. Did my surf instructor just call me weak??!!? Apparently he trying to say I was unconfident, not weak. But it worked and I really did surprise myself, I’m so glad I gave it ago. 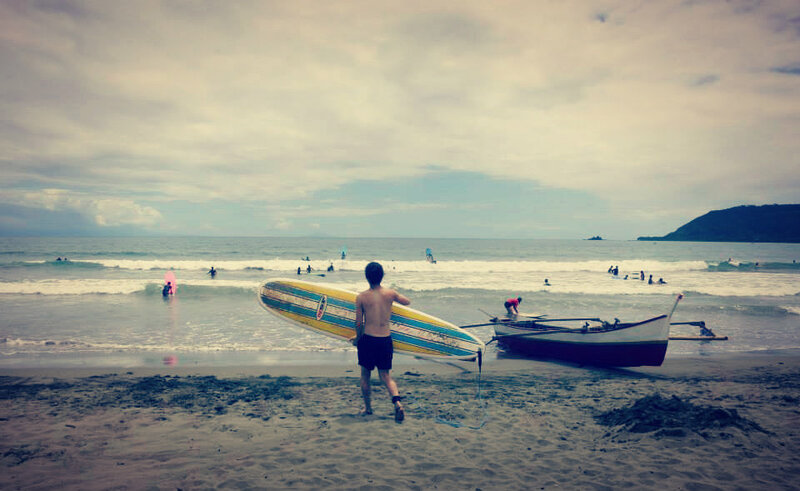 Our surf lesson was on Sarung Beach, the most famous surf spot and we had an hour booked with Mahdox Surf School and an instructor each. Only 2/3 of the local instructors speak English, however these instructors work hard and throw you in the deep end… literally. That evening, feeling tired and hungry, the family spent about 2 hours trying to find somewhere to eat, I think this is the one thing lacking about Baler. This is becoming more and more popular for tourists, but the town can’t quite handle it yet. 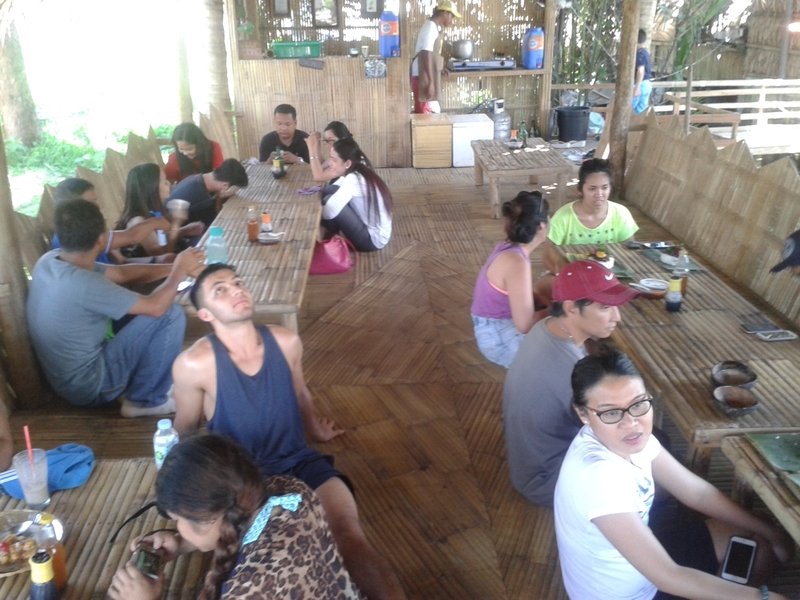 We found a restaurant called Baler Surfer Grill that BBQ’s out of a car engine, but sadly it was full up. We found another restaurant, but the wait was 3 hours for food!! 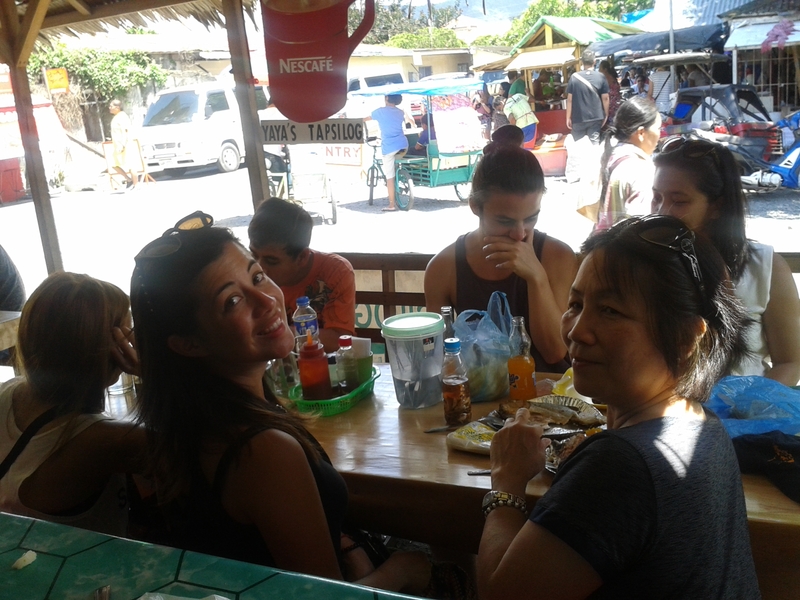 After spilting off and doing out our thing, our tour guide offered us the mini van and the driver to take us to a cheaper part of town with good local food. The driver recommended a small restaurant in town called YaYa’s Tapsilog, a local restuaurant famous for it’s spicy chicken adobo. I immediately made a bee line for this place, we all know I love spicy food and Chicken Adobo is my favourite Filipino dish. And for just 65 pesos (less than a pound), I was truly happy and well fed! I highly recommend!!! My cousin went for some traditional street food, meat, heart, liver, and all sorts of animal on a stick. 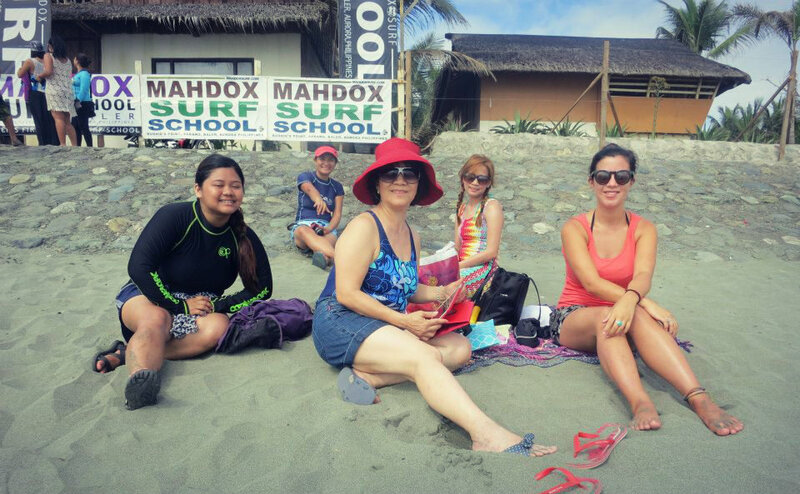 The next morning we were up bright and early for our second and last surf lesson with Mahdox. It was great again! Almost all the family had well and truly had fallen in love with surfing. 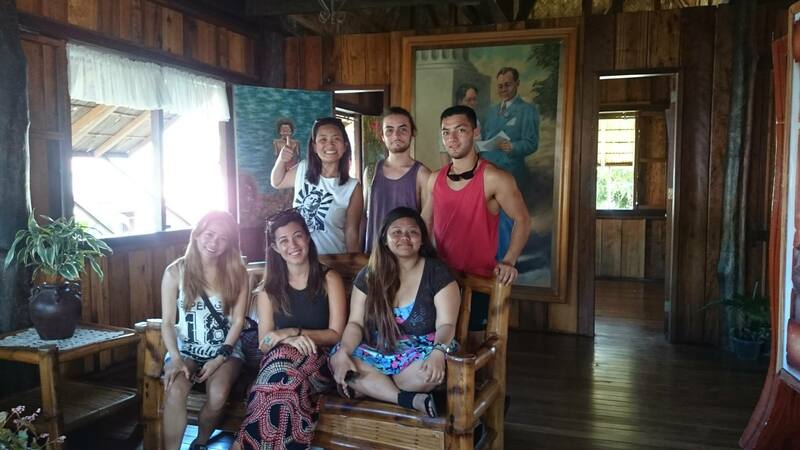 After checking out of Yeshin Lodge we were then taken into town to explore the historical side of Baler and a bit about it’s history. The province ‘Aurora’ was named after President Manuel L. Quezon’s wife. Quezon, the first president of the Philippine Commonwealth, was born in Baler. 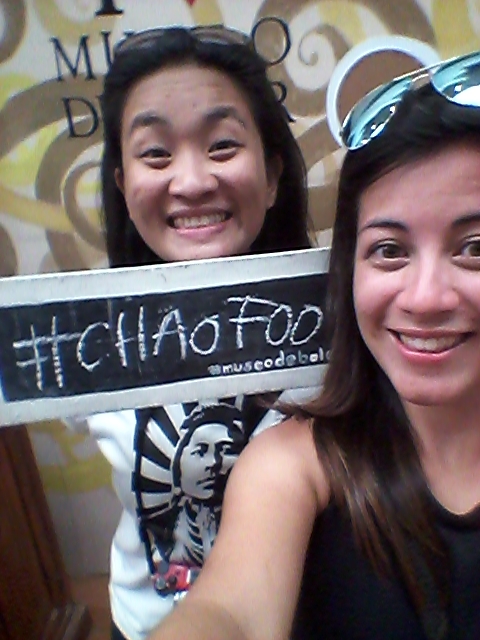 We stopped at Aurora’s preserved home and the local church known as the San Luis Obispo de Tolosa Church. 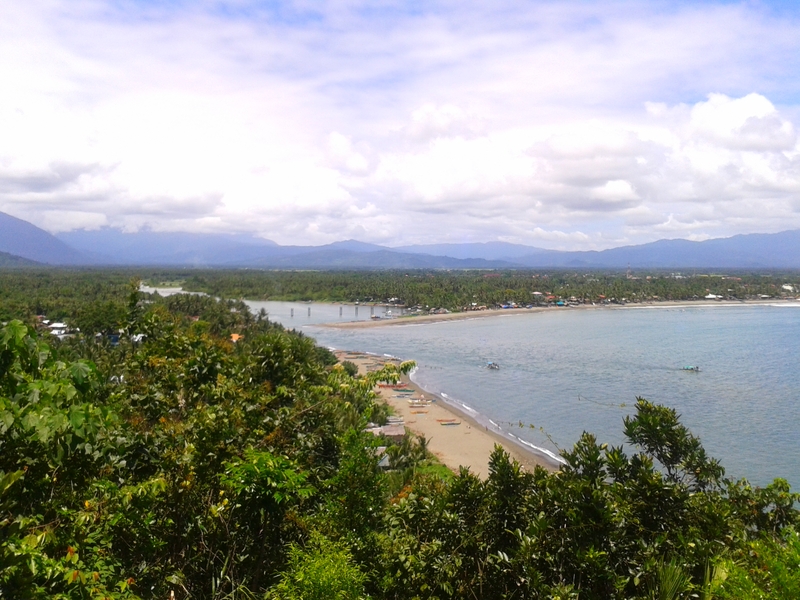 The town is the backdrop of the infamous Siege of Baler. 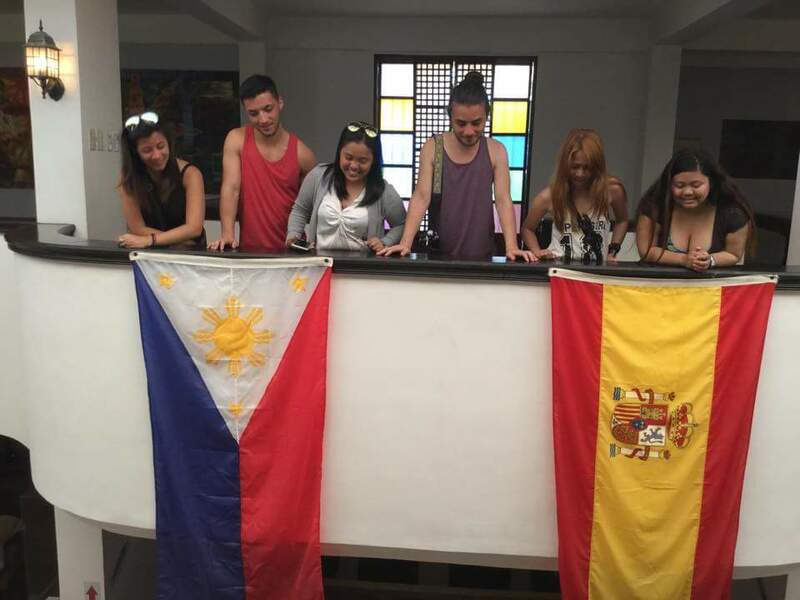 When the Spaniards ceased and sold the Philippines to America, there was a group of renegade Spanish soldiers who decided that it wasn’t their time to leave yet. 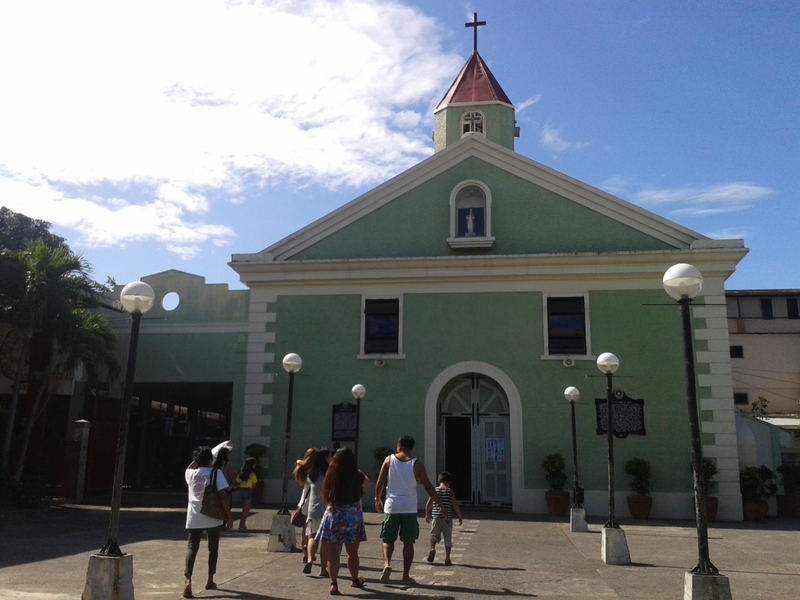 They occupied the Church of Baler for almost a year until they finally gave up. 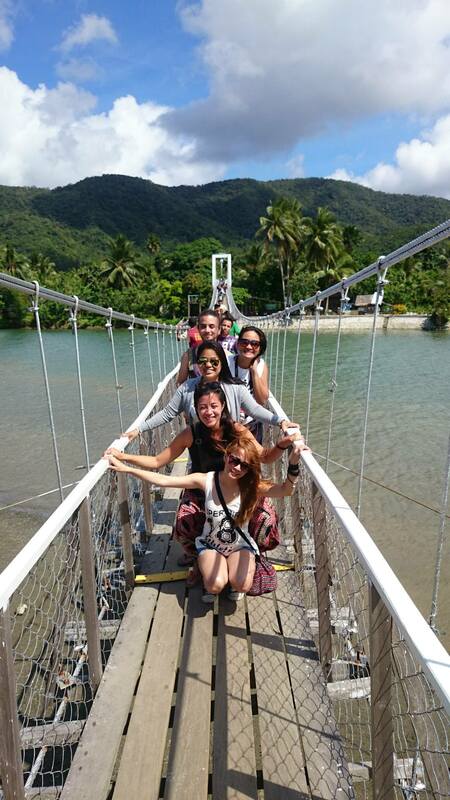 Our next stop was the Hanging bridge. 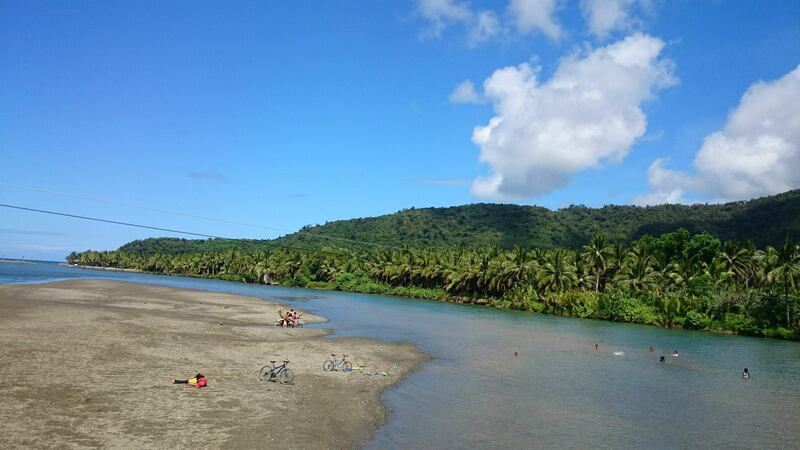 This bridge was build and locally funded because children would travel inland from villages across the river and have to swim across the water to get to school everyday. This bridge is well worth visiting and looking down you can often see children playing and swimming in the water, as well as beautiful scenery of mountains and river views. 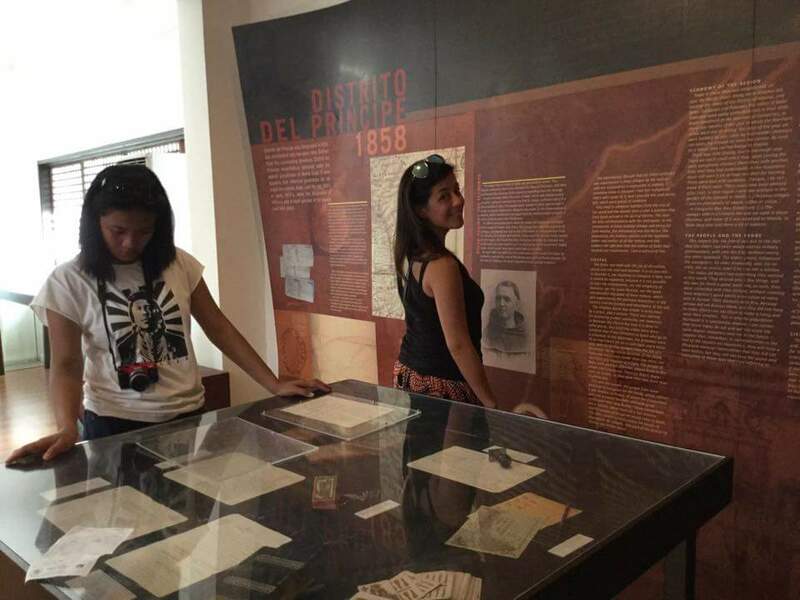 The last official stop of the day was a wander around the museum where we learnt a bit more about the Siege of Baler and saw some of the weapons used at that time. 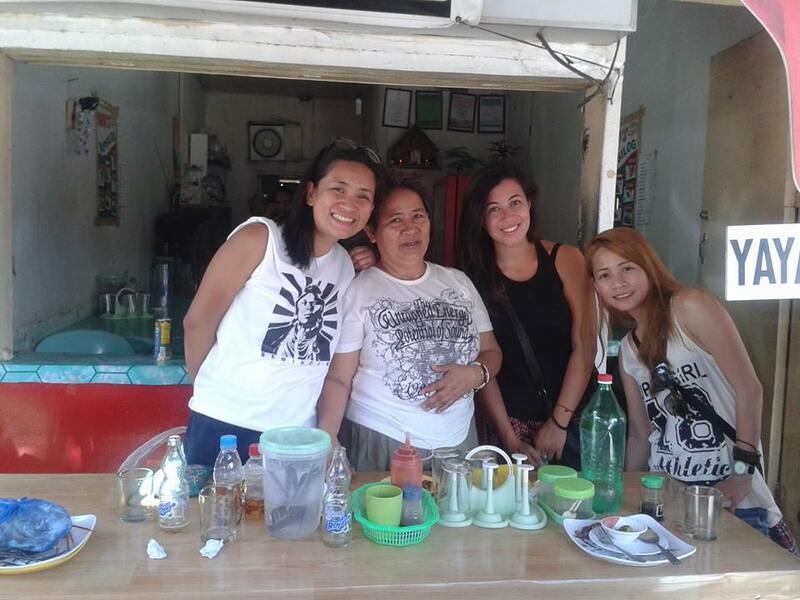 Before we left, we had one final lunch stop… more spicy chicken adobo please at Yaya’s and lucky for us, the owner/recipe creator for this famous dish was there, so we got the traditional picture with the owner! Before the day was over and for the journey back, we picked up some deser treats! 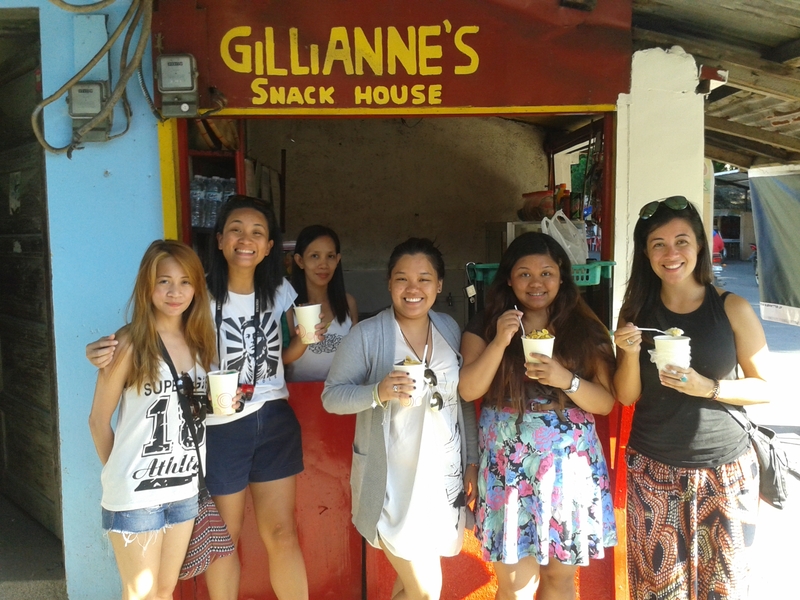 I got a Maiz con hielo and the girls got Halo Halo at Gillianne’s Snack House! I will explain what these treats are in my next blog post, there are so many amazing Filipino treats to tell you about that I will do one very long detailed dedicated to my favourite meals and deserts!! 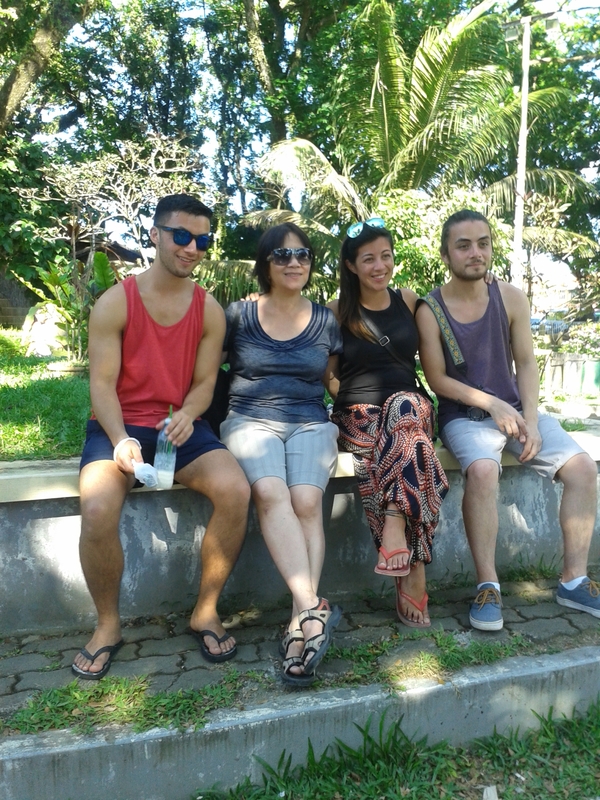 From the UK, Chris, Mum and Andrew!